How do kids react when we speak several languages to them? In today’s world of nonstop and affordable travel, families with parents who speak different mother tongues are very common, as well as parents who speak only one language, but want their children to learn two from an early age (witness to this are the number of language schools for very young children that are opening lately). There are also frequent instances of regions or areas where two languages are used and parents want their children to learn both, regardless of whether they know them or not. For many years, people believed that exposure to several languages at an early age led to confusion, making it difficult to distinguish one language from another and to learning any of them really well. But that´s not accurate; the truth is that raising children exposed to two or more languages has more advantages than disadvantages and the sooner, the better. To understand the advantages, it´s important to become familiar with the language learning process. This process is divided into two phases; learning phonemes or sounds is the first one and learning the lexicon is the next. Phoneme learning takes place in the first months of life, thanks to the great brain plasticity that babies have, and begins to decline in the fifth month. Lexicon, on the other hand, improves with age and extends throughout our life, since we never stop learning new words. Therefore, it is very important for babies to be exposed to both languages from the cradle, so they can learn the phonemes and sounds of languages and pronounce correctly in the future. What is known as “conceptual narrowing” takes place from the fifth month of life onward; this might be briefly defined as being very skilled in the things we know and horrible in those we don´t. An easy example can help to understand this. A person born and raised in China will probably not have heard the sounds for letters such as “R” and “L” in their first months of life and therefore will not have learned them. As an adult they will be able to learn any other language that contains these sounds, as well as countless new words and grammar rules, but it will be very difficult for them to learn how to pronounce these sounds correctly. The capacity to learn phonemes is not the only thing that changes with age. Although it´s never too late to learn new languages, the way they are stored in the brain is not always the same. Languages learned at an early age (before puberty) are constructed independently from one another, whereas those we learn as adults are learned through our first language, which our brain uses as a bridge, translating everything constantly to understand it. Apart from the obvious benefit of knowing two languages, which is always good, child bilingualism has other, less obvious benefits. The “mental leaps” that a bilingual child has to make between one language and another or to focus only on one without the interference of the second, is a great brain exercise that trains the ability to concentrate, short-term memory, multitasking and planning, among others. 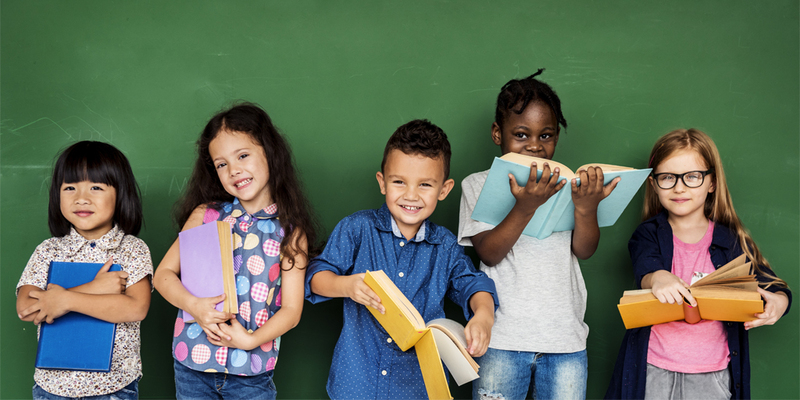 There is a false myth that bilingualism confuses young children, when it is actually good training to keep the mind in shape, and we already know that stimulating the brain prevents mental illnesses such as dementia and Alzheimer and delays aging. In addition, knowing more than one language means more linguistic resources and greater metalinguistic capacity, which helps when it comes to learning new languages in the future. Even so, everything that glitters is not gold, and there are also drawbacks. Studies show that although bilingual children generally have a wider combined vocabulary than monolingual children, their vocabulary in each language is less. These children also tend to take longer to start talking, but always within normal limits. Finally, bilingual people (regardless of age) are more susceptible to not remembering a word, since their brain associates two words to a single concept at the same time. In conclusion, contrary to what many people believe, child bilingualism is a great source of benefits, both linguistic and cerebral. And all for the small price of tripping over your tongue sometimes.